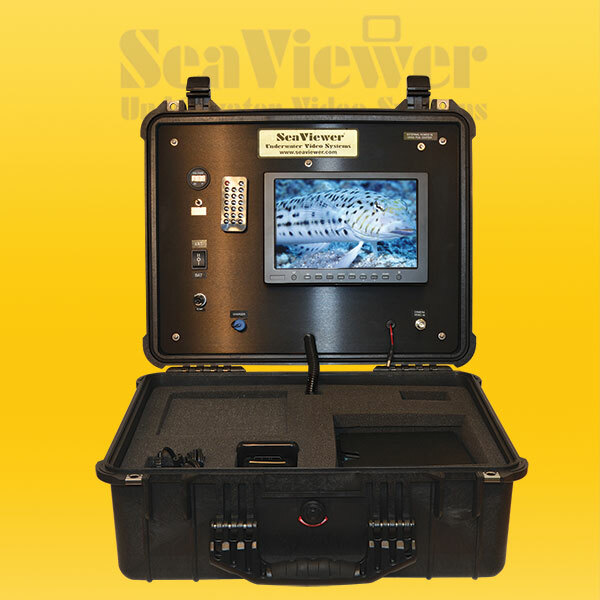 Our Seaviewer Complete System is completely portable and ready to use out of the box (truly plug and play). All systems are fully tested at multiple times throughout manufacturing and then go through a final process of testing and charging just prior to shipping to assure complete user satisfaction. With the standard battery you have 3+ hours of continuous use but with a cost effective upgrade you are able to increase the battery to approx 6+ hours. The convenience of having the external power connection and adapters for both 12v and 115-220ac allows unlimited usage. The battery status can be checked anytime with the built in battery meter. 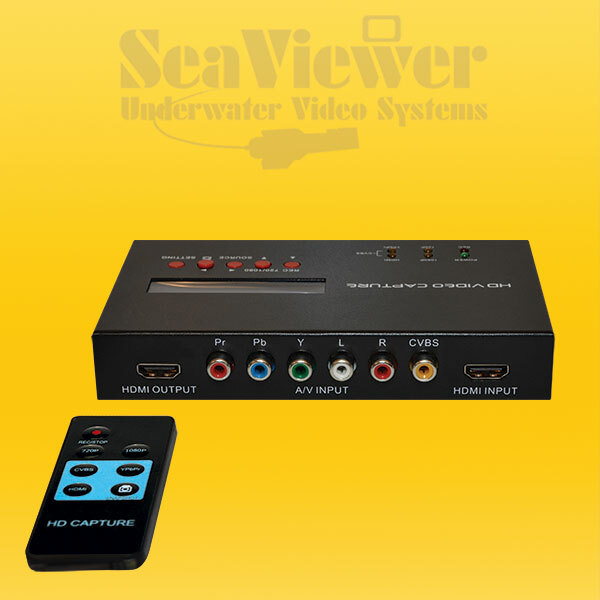 This console comes with a high quality video recorder which records underwater video while being viewed “REAL-TIME” at the surface. In addition to recording video the recorder also has a “SNAP-SHOT” mode to capture specific moments. Our recorder also allows for several quality settings which extend the recording time while still maintaining good quality recordings. Media – The recording media is removable which allows the user to change the media quickly and easily. Although the recordings can be viewed on the surface console at anytime the removable media allows the recordings to also be viewed and edited in the office on a computer. The SeaTrak HD Overlay extends the capabilities of the system by displaying GPS* information on the screen in real-time. Our SeaTrak HD also provides the option of showing Date/Time on the screen along with the Longitude and Latitude ( LOT / LAN ). 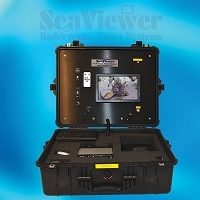 The SeaTrak HD Overlay has a standard RS232 port for connection of the external GPS unit. 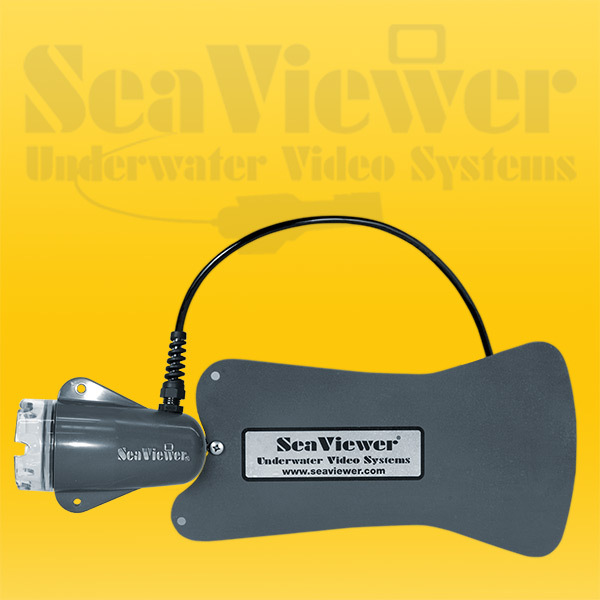 The SeaTrak also has a pass through connection so can easily be inline if the boat GPS is used, while maintaining the same GPS information on the boats helm. 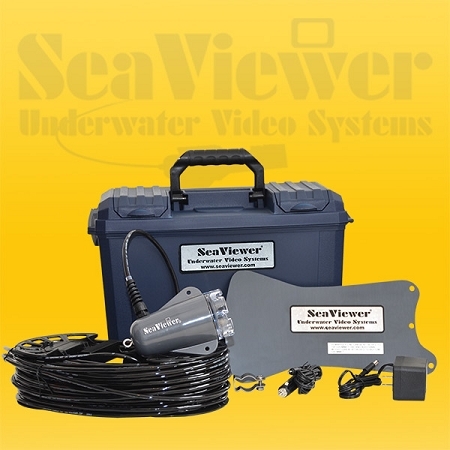 The included Model 6000 Sea Drop camera comes with 50 feet of cable and internal lights. 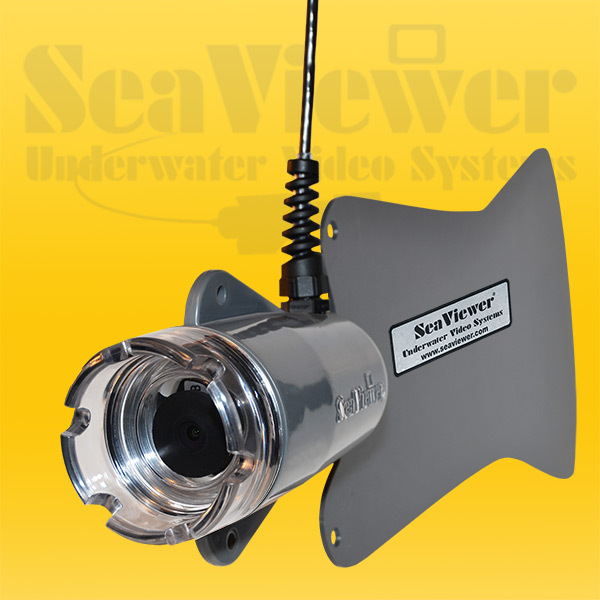 The Model 6000 Seaviewer Camera is designed to be used as a “Drop” camera. A drop camera is attached to a cable and lowered overboard while connected. 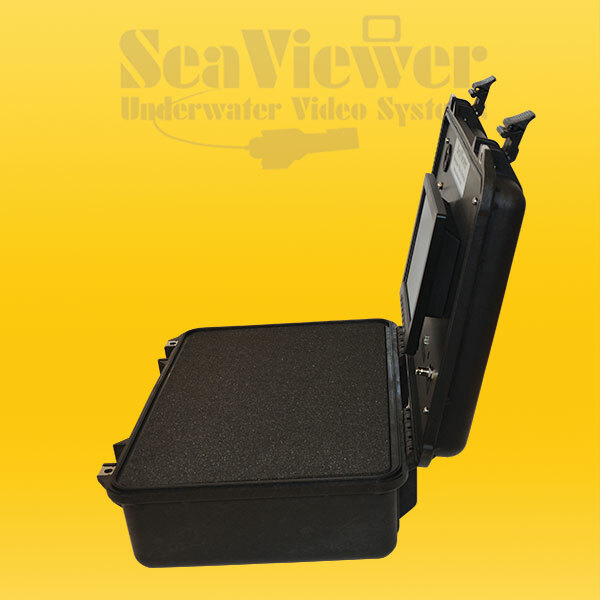 This deployment allows for the user to see the video in real-time at the surface. 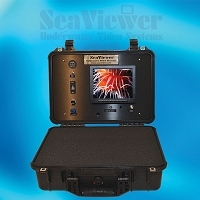 We offer several different camera bodies with the same high quality HD internal camera module. During your selection process you can change the camera body based on your requirements and add additional cable up to 1000'.